After bath time, Louie got plenty of cuddle time from my nephew, Morgan Gore. Photography by Morieka Johnson. 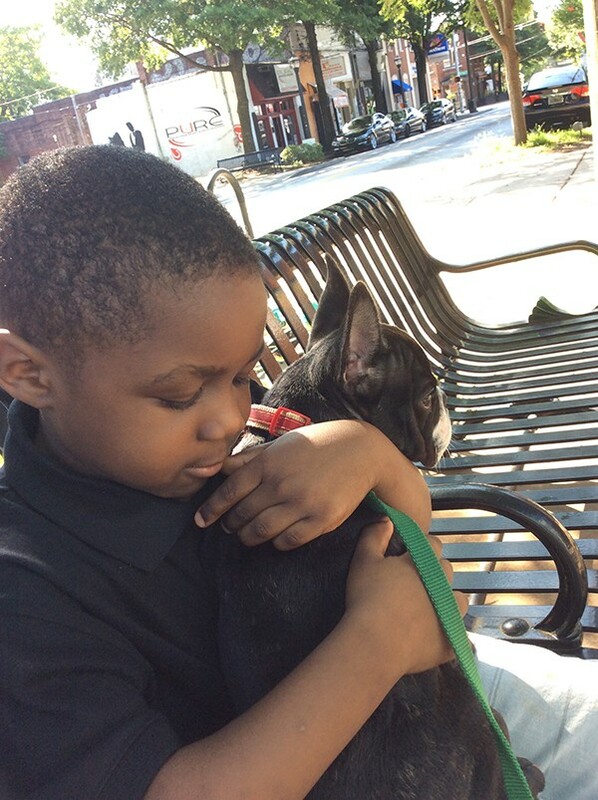 About the author: Morieka Johnson lives in metro Atlanta with her husband, two stepdaughters and Louie, their high-energy puppy. She enjoys writing about dog health, toys, and training. Morieka shares more of their exploits on SoulPup.com. Thumbnail: Photography by Ashleigh Wells Photography/Thinkstock. How Do You Bathe Your Big Dog? The post 5 Common Mistakes That Make Dogs Hate Baths appeared first on Dogster.